Thinking about a refi? Here is some information that may help your decision. Many homeowners decide to refinance their mortgages when interest rates drop significantly lower than their current mortgage rates. This can be a good strategy, as it usually results in lower monthly mortgage payments. However, interest rate drops are not the only reason to refinance. Here are five potential motivating factors that may prompt you to consider refinancing. When you first took out your mortgage, you likely had a choice between a fixed or adjustable interest rate on your loan. If you chose the adjustable-rate mortgage, your interest rate can go up or down at set intervals. By comparison, if you have a fixed-rate mortgage, your interest rate stays the same throughout your loan term. You might want to refinance to a fixed rate if you prefer the consistency of knowing what your rates and monthly loan payments will be. If interest rates have gone down over the course of your loan, refinancing to a fixed-rate mortgage also can allow you to receive a better rate. Has your credit score improved since you took out your mortgage? If so, refinancing now may help you qualify for a lower interest rate, which can mean lower monthly mortgage payments. The same may be true if you got married and your partner has very good credit. Your spouse’s credit may help you receive a lower interest rate if you refinance and put the house in both of your names. 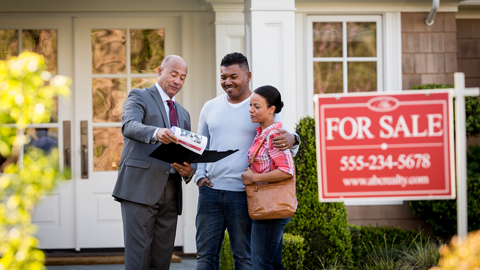 If you put less than 20% down when you purchased your home, you may be paying Private Mortgage Insurance (PMI) or a Mortgage Insurance Premium (MIP) on your loan. Refinancing may enable you to get rid of mortgage insurance — and potentially reduce your monthly interest payments. In fact, many government-guaranteed FHA loans carry mortgage insurance for the life of the loan, and the only way to eliminate MIP is to refinance into a conventional loan. Perhaps you’re getting married and want to add your spouse to your loan: The easiest way may be to refinance and take out a new mortgage together. Again, make sure you check both of your credit scores before taking out the loan. On the flip side, it may make sense to refinance if you’re divorcing and you want to keep the house (or the reverse — your spouse is keeping the house and taking over the mortgage). Even if your divorce agreement stipulates who will take the home, you can refinance the loan in one name to legally remove yourself or your spouse from your mortgage. Also make sure to change the title of your home, so the property records reflect the accurate owner. 5. You need cash for home improvements or other major expenses. Some homeowners refinance their mortgage to get access to equity they’ve built in their home. This process is called a cash-out refinance. A cash-out refinance replaces your current mortgage with another loan that continues to pay off your current balance and uses the equity in your home to provide additional funds for other purposes. In this way, a refinance is an alternative to taking out a home equity loan or line of credit. 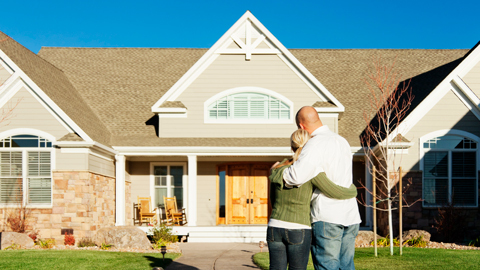 Learn more about mortgage refinancing programs through Wells Fargo. These are three common monetary values assigned to your home, and each can be different.